Thank you notes are important ways to express gratitude, particularly after a wedding. Thank you notes are one of the nicest expressions of gratitude a person can extend to another. Following a wedding, a bride and groom may receive gifts from family, friends and coworkers. The timing to thank these individuals is important; it should be done within three months of gift receipt. 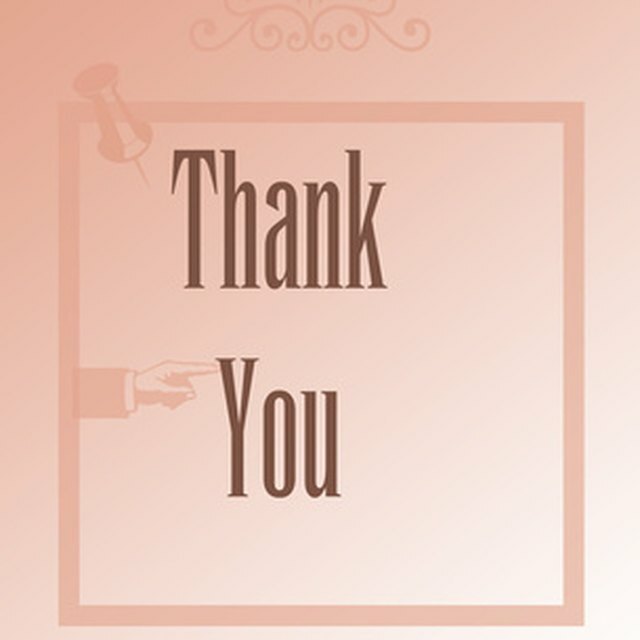 Each thank you note should be personalized to the recipient and can vary in structure depending on the relationship between the couple and the gift giver. For gifts given to the couple from their places of business, there is certain etiquette to follow when giving thanks. Discuss who will write which thank you notes. For example, if the groom's place of business gave the gift, decide whether or not he should write the thank you note. Begin the thank you note by addressing the sender. For one giver, refer to him or her directly. For a group gift, however, refer to the team. For example, "Dear [Company Name] [Department Name] Team," is the ideal way to word the opening of the thank you note. Thank the gift giver for his or her specific present, not just for a gift in general. For example, "Thank you so much for the KitchenAid blender." Indicate in the thank you note your appreciation and plans for the gift. For example, "The gift was so thoughtful, and [spouse's name] and I will think of you every time we make a milkshake or smoothie," is an appropriate way to personalize the note. Close the thank you note with a final sentence such as, "We were delighted you could join us for our wedding celebration and look forward to getting together soon." Sign the note from both bride and groom.